Tongone, thank you! And I would love to see that image as a signature. Please feel free to do so at any time. Mr Grieves, hands always give me trouble which is why I challenged myself with forshortened ones. There were many eraser marks on this one, let me tell you. But thank you for noticing them. 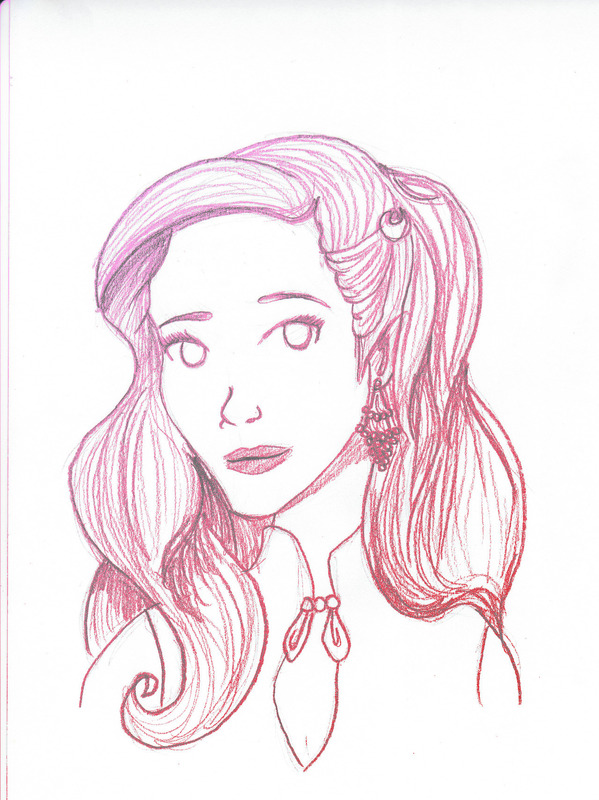 Just a quick Asami sketch that I thought I would share. I like the style of that Asami. Nice touch with the earrings. Ah, Cerulean your art is so fantastic. Very cute style, I'm definitely a big fan! Your last Amon piece was probably the most impressive, it really had some great feeling with it. Awesome mood-wise. Your Korra piece was good, too. I struggle with in-action poses, and you did your's very well! Foreshortening especially. Asami is great, as well. She's my favorite character to draw, I think. Isn't she fun? And the celebrity comic is really hilarious, you made me laugh. I also really like the paintings in the background, especially Keenu Reave's. Mr Grieves, Yes, they all live in the same apartment. What? I was not feeling lazy with backgrounds. Zombie_Chinchilla, thank you so much for the compliments! The Amon was one of my favorites to do as well. Amon is one of my current favorite characters, hence today's comic. My sister asked me where Amon got his make-up for the big reveal. Big version for easy reading! I loves your humor comics, they're so funny. Definitely making me laugh, I'd love to see more. He should have sprung for the waterproof. I ignore where I was studying this on the forums here but it was a few times returning that y'all were referring to Iroh and his previous. This is just a little blip from my thoughts of him showing on his previous as he beverages his tea. Tattoo Guns and other Tattoo Supplies from leading Xtreme Tattoo. Zombie_Chinchilla, thank you so much! I've got a few comics in the making that I plan on posting in these parts. I look forward to your reading them! PrincessBlazefire, don't die! 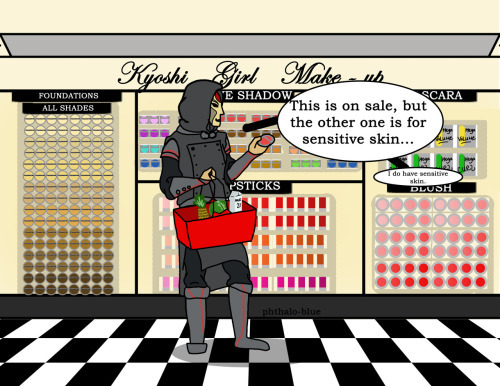 And Kyoshi Girl Make-Up is a thing. It's head canon for myself at least. Loopy, argh! Why didn't I think of that!? And why didn't he either? Where was the make-up team when you needed them? 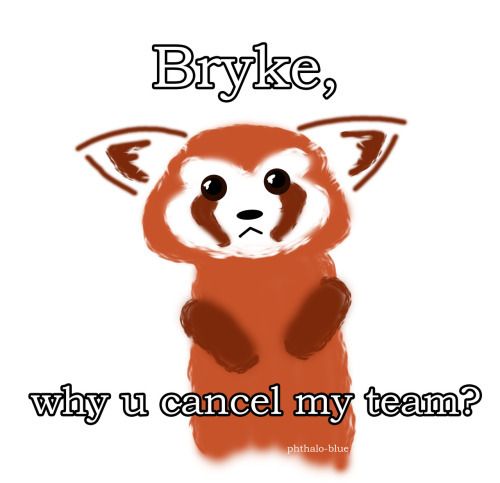 So, found out some things about Korra Book 2 today and Pabu has some questions for Mike and Bryan that I believe should be answered. 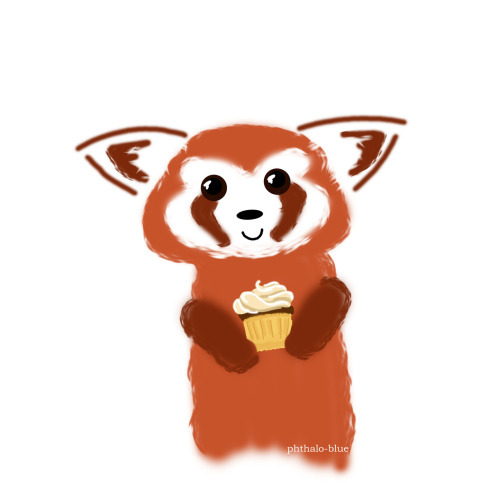 And then I couldn't stand sad!Pabu anymore so I gave him a cupcake and he was happy again. S.S Borra will NEVER sink! Truly, cupcakes are the root of world peace. I totally heard a cute little squeaky Pabu voice when I saw the first image. The picture just inspired it. PrincessBlazefire, that gif is perfect! Pabu accepts your offer of eternal cupcakes and will start looking in his mailbox for them. KorraLover, I'll see what I can do for that! Loopy, so, if cookies belong to the dark side, does the light get cupcakes? "Avatar Aang can't save you now." "You think I need him? Ha! Try me." Bigger view for all the detail goodness! Call me Marzi, why don't ya? Wow, that looks amazing! That's wallpaper worthy right there. Excellent work! Keeper of Noatak's face paint and Pabu's roar. Cerulean, all of your work is phenomenal! I get so excited when I visit your thread and see so many updates waiting. You have a knack for creating artistic, but also humorous pieces. I adore the most recent Pabu art. It made me smile...A LOT! You're so creative! 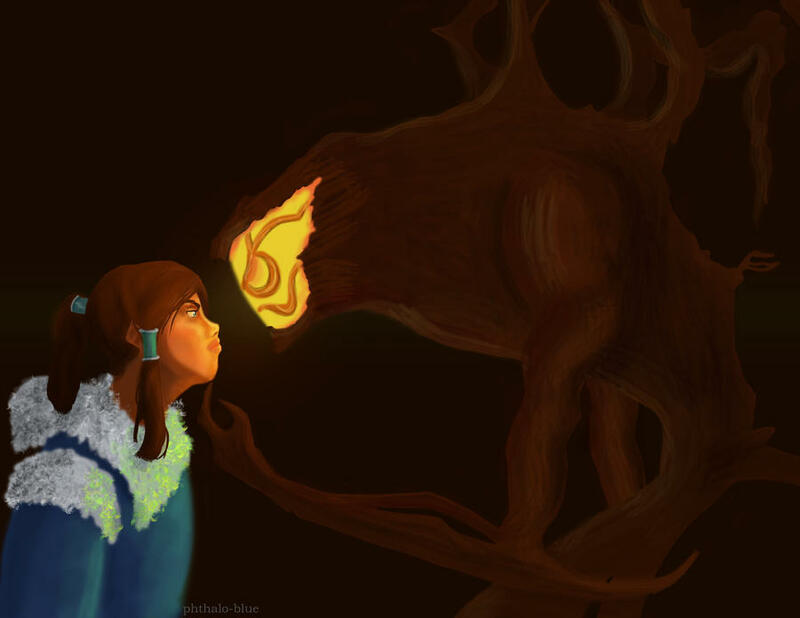 Ooo, I love how you drew the spirit, it looks awesome Korra looks really good too. Really nice work! King Kazma, the textures of all the different things were a fun exercise. The lighting was also a new challenge for myself. I'm happy with the results and I'm glad that you like them as well. ATL, Aww, Thank you so much, my friend! @KorraLover, I have not forgotten your request! 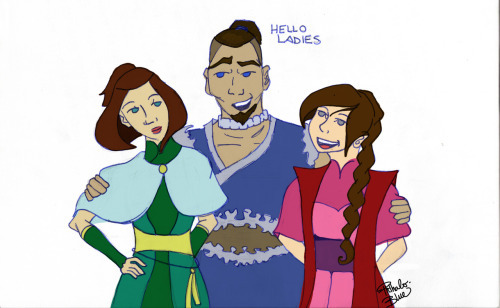 Sokka and Suki were easy to figure out as grown-ups, but Ty Lee is giving me issues. Expect this sometime soon, though. Vigilante Justice? Lin thinks not. Just a bit of Sunday night Silliness. PS- Who else wants those glasses? Dang, man, things are getting rough at Comic-Con if they have Metalbenders arresting cosplayers. Hahahaha, that last one is great. I especially like your Korra and spirit piece, the mood is fantastic. And the coloring, and the wood texture, it's just all wonderful. Rava, hello there! Yeah, I feel a bit bad for Superhero Korra, but then I remember that she is the Avatar so it's all good in the end. Loopy, one can never be too careful at Comic-con. Zombie_Chinchilla, Thanks, I am really happy with the spirit work as well. So two updates for you tonight. The first one started out as a sketch for a reference for the Spirit piece I did a while back. I had it and decided to do a quick color which then turned into this more finished piece. I enjoy it and thought I'd share it here. It's been awhile since I've seen your thread, and your pieces just get cuter and cuter. 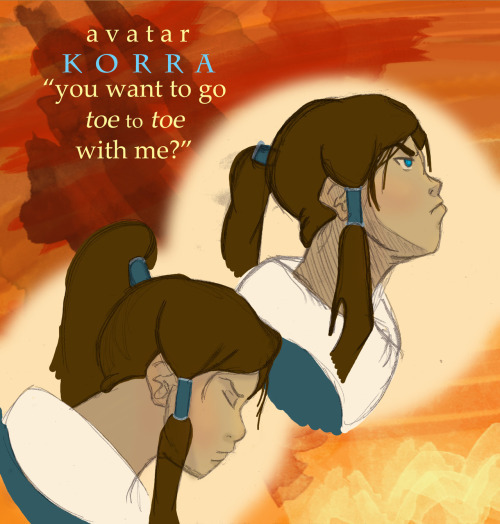 I love the Sokka one. I like how the lines seemed sort of misplaced to me, but they become a meaninigful Sokka face! It's just cute. And the Pabu one.... <3. Ughhh I want a plushie of him! Ivy Toph Vega, Thank you! And yes, we all want a plushie of Pabu! So I know it's been forever and a day since I've updated anything. Truth be told, I've been running 19+ hour days for so long now I can't keep track. I did have time for a quick doodle while studying at the library the other day. 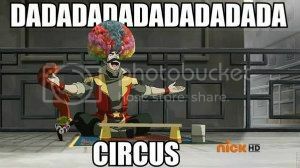 Basically, I feel how Korra feels. 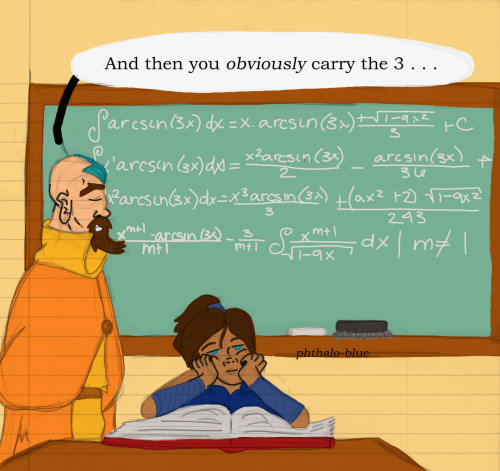 I also have this personal theory that one day whilst teaching Korra the Air Nomad history, Tenzin discovered that her math skills were lacking.